Have you been dreaming of dragons? The wonderful thing about making your own dragon is that no one knows what they really looked like, so yours will be perfect! 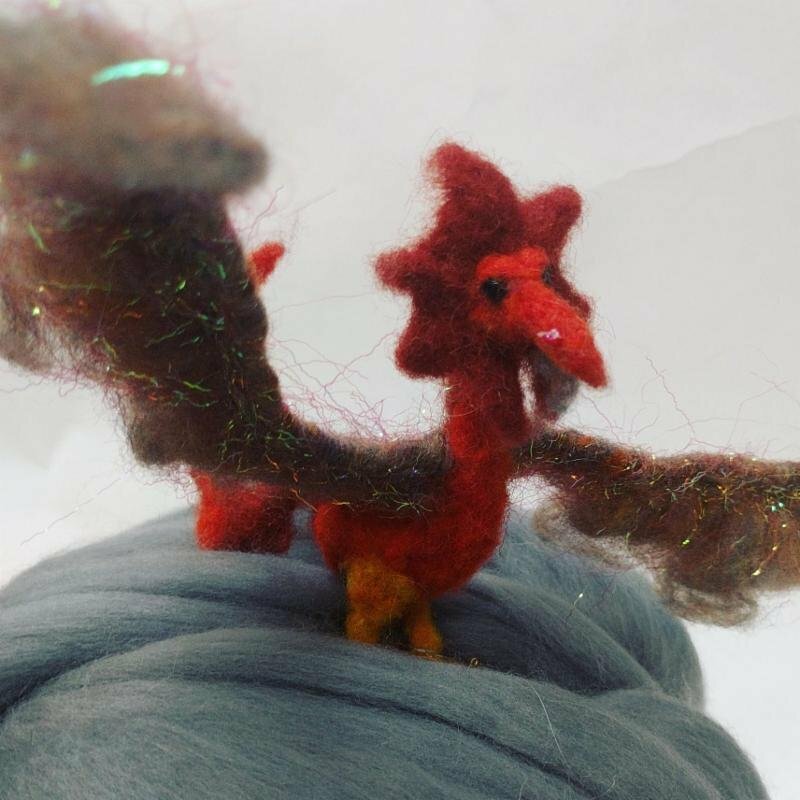 Join the wonderful Bonnie Somdahl for this beginner through advanced needle-felting class. You'll learn to unleash your creativity while using armature, wool, and beads along with your basic needle-felting skills. Class is open to children and adults - children under 12 will need their very own adult to join them. Each student will need both heavy and fine needle-felting needles, a foam block or felting brush to work on, wool fibers in various colors, other fibers to add bling such as eyelash yarn and shiny mylar fibers, - all of which are available for purchase at StevenBe. Included in the class fee are the pipe-cleaner armature, fringe beads for eyes, other seed beads for claws and horns and general bling, beading needle and thread. We will have tools to share such as carding brushes, pliers and scissors. Requirements: Children under 12 will need an adult to accompany them.